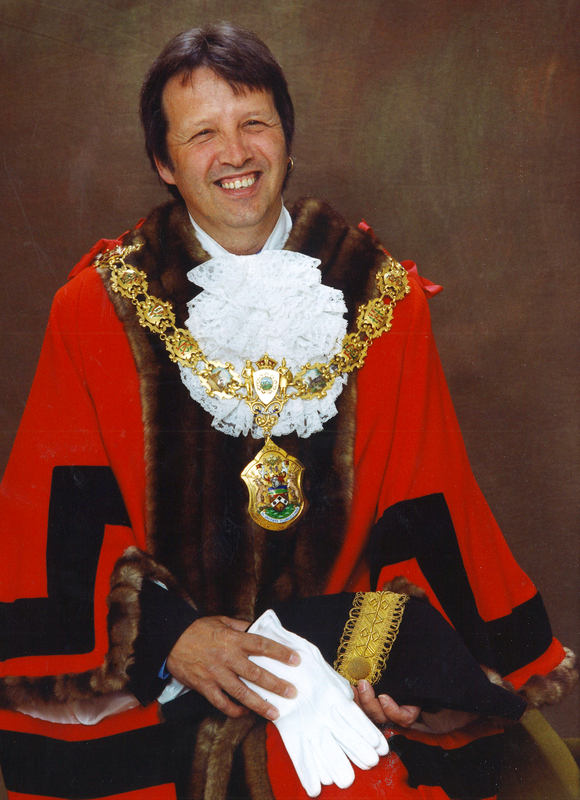 He is the only councillor who was Mayor of Pendle twice - once in 1998/99 and again in 2001/02. Colin served the Clover Hill ward as a borough councillor for 15 years until his retirement on 8 May 2006. He was also a Lancashire County Councillor for the Nelson area. When he put politics behind him he enjoyed working as a conductor for Northern Rail. Colin is survived by two daughters, Kelly Jane Dixon and Vicki Waite, and his grandchildren Laura, Yousaf Abid and Lilly. Kelly said: “Dad was a councillor because he really wanted to make a difference to people’s lives. Colin enjoyed raising money for charity and during his mayoral years raised more than £11,000 by doing things like the Great North Run and running through the whole of Pendle. He was a passionate Burnley FC fan and he chose the colours claret and blue when it was his turn to host a Mayor’s Ball. Messages of condolences have flooded in from all over the world. One friend described him as ‘a giant among men’ and ‘always committed to his family and community’. During his time at Pendle Council Colin was very popular with councillors and staff. Colin’s funeral is taking place on Wednesday 12th April at 12.15pm at St John Southworth, Vaughan Street, Nelson. It’s being followed by a short service at Burnley Crematorium at 1.40pm. Then there will be a celebration of his life at the James Hargreaves Suite at Turf Moor at 2.15pm. The flags at Nelson and Colne Town Hall will fly at half-mast as a mark of respect on the day of Colin’s funeral. Colin’s family have requested that flowers are from the family only. Instead they’d like donations to be made in Colin’s memory to Pendleside Hospice and Queen’s Lancashire Memorial Arboretum Fund. Vicki said: “Dad chose to support the two charities because he accessed the services provided by them over the past two years. Colin served in the Queen’s Lancashire Regiment from 1970-1976. The charity is raising funds for a permanent monument at the National Memorial Arboretum in Staffordshire for all ex-Queen’s Lancashire service personnel who died during 1970 -2006.